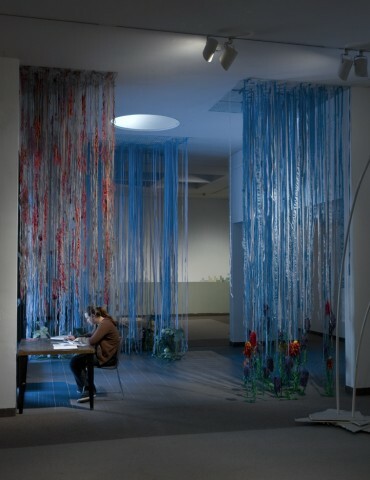 This draping garden was created as a site-specific work for the gallery’s 14-foot ceilings and to extend the landscaped grapevine dovering the front of the gallery entrance. 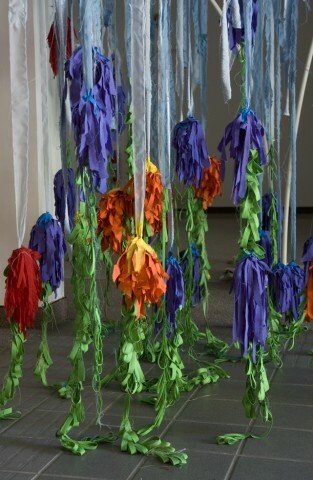 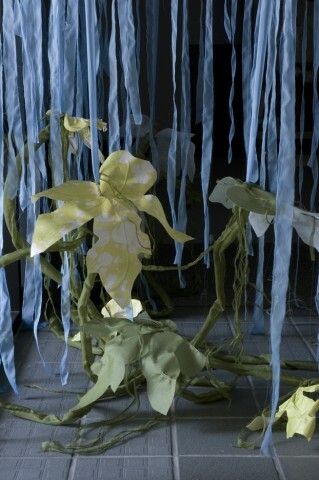 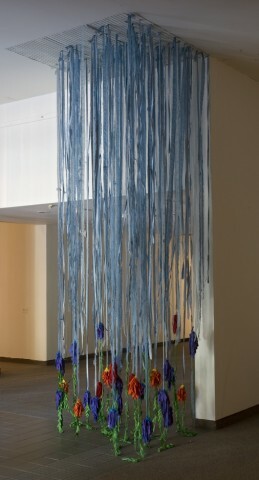 The fabrication of textures, colors, shapes were based loosely on interpretations of the artist’s garden and included squash, zinnia, red vines and night time blooming lilies all hanging from long blue strips of an impenetrable sky. 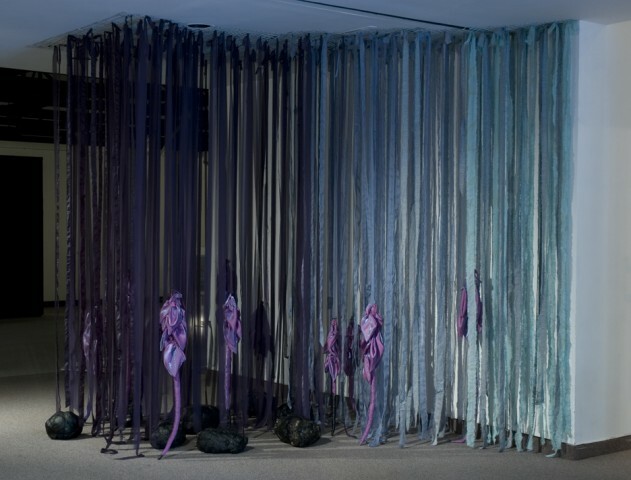 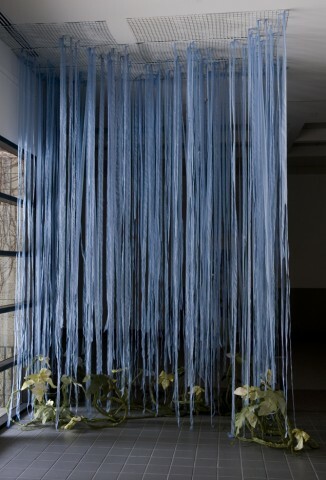 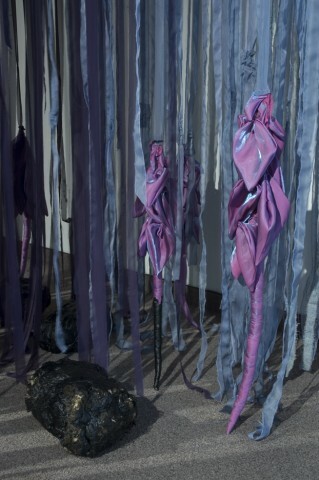 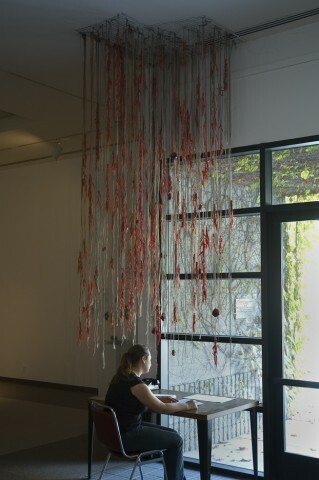 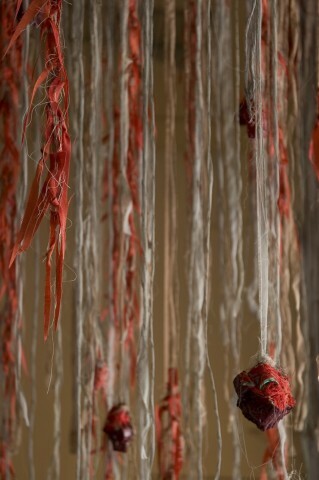 drop garden was exhibited at CalPolytechnic Kellogg Gallery for Accretion, a group show curated by John O’Brien in 2006.